GRAND LAKE STREAM — On Thursday, Aug. 30, Downeast Lakes Land Trust is pleased to host Jane Crosen for an interesting look at the Downeast Lakes region. 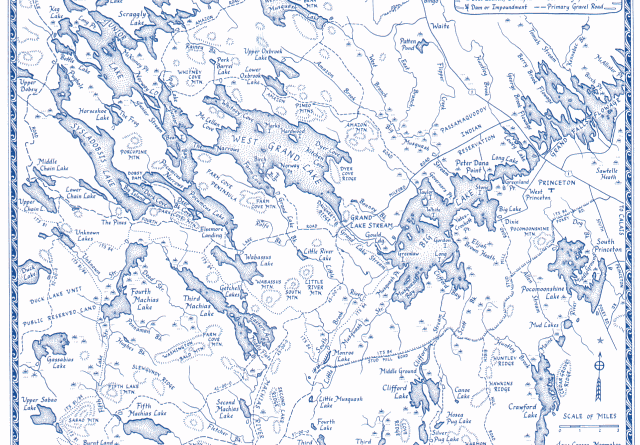 An editor and cartographer, Crosen’s artistic maps have always been a favorite of Mainers and can be found in all corners of the state. With numerous inter-connected lakes and streams and rolling hills, the areas surrounding Grand Lake Stream are fascinating from a topographical standpoint. The presentation will begin at 6 p.m. in the Grand Lake Stream School Building, 15 Water St. For more information, please call Downeast Lakes Land Trust at (207) 796-2100, or email info@downeastlakes.org.